Avg. Group Discount of 19.1%! 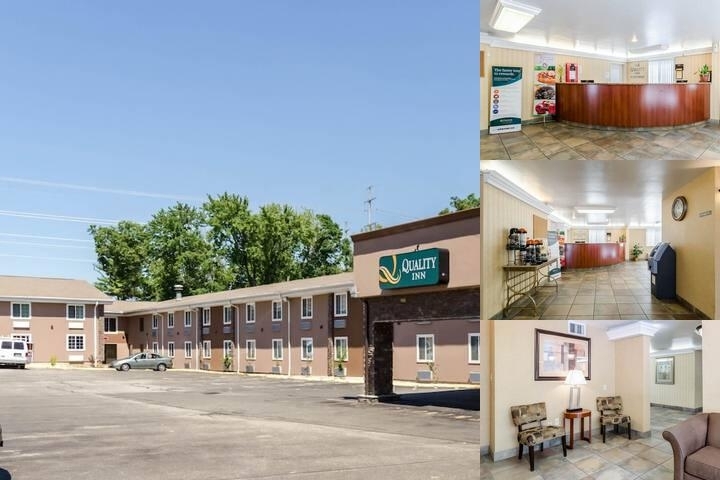 Get more for your money at the Quality Inn Chicopee-Springfield hotel in Chicopee, MA located off Interstates 90 and 391 next to the Westover Air Reserve Base. Nearby destinations include Naismith Memorial Basketball Hall of Fame, MassMutual Center, Six Flags New England and Brimfield Antique Show. Enjoy amenities like free continental breakfast, free WiFi, fitness center, free weekday newspaper and guest laundry facilities. Guest rooms feature a coffee maker, hair dryer, iron and ironing board. Also, earn rewards including free nights and gift cards with our Choice Privileges Rewards program. 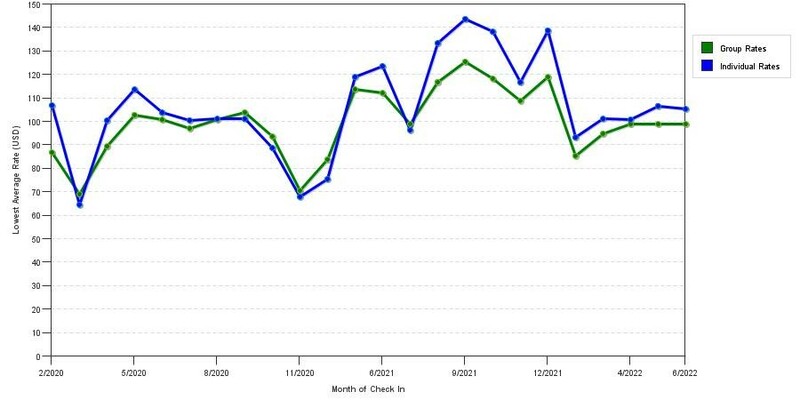 The graph above is averages of room rates for both our group quotes and the lowest online individual rates we could find at the time the group/meeting bid was entered. The best group deal shown is 61.8% in April 2017 and the highest average individual rate is $134 in the month of May 2017. This chart will show past seasonality and also project future months. If you are flexible with dates, you may want to consider staying at Quality Inn Chicopee / Springfield in a month when rates are lower.